In 2009, PINTAR Foundation established the Board of Trustees (BOT) made up of esteemed individuals experienced in academia, corporate and other key Malaysian sectors. The BOT's key tasks are to advise and oversee the management of PINTAR, endorse the appointment of the Management Team that would further the Foundation's goals, while taking its programmes to greater heights. The BOT also decides on any changes to the mission and scope of PINTAR and helps to promote the PINTAR brand – e.g. contributes to marketing and promotion, engage with media, etc. Our beloved Chairman, Tan Sri Dato' Seri Utama Arshad Ayub, was born in November 1928 in Muar, Johor. Tan Sri Arshad's working experience is extensive, having held senior positions in various Ministries from 1958 to 1983. His illustrious career includes being appointed the First Director of MARA Institute of Technology (ITM) from 1967 to 1975, the Deputy Governor of Bank Negara Malaysia (1975 to 1977), and the Deputy Director General of Economic Planning Unit (EPU) from 1977 to 1978. He then moved on to become the Secretary General at the Ministry of Primary Industries, Ministry of Agriculture, and Ministry of Land and Regional Development. Tan Sri Arshad obtained a Diploma in Agriculture from the College of Agriculture, Serdang, Selangor, and a B.Sc. (Hons) Degree in Economics with Statistics from the University College of Wales, Aberystwyth, the United Kingdom. He later pursued a Diploma in Business Administration from the Management Development Institute (IMEDE), Lausanne, Switzerland. He had also attended various notable courses at the Harvard Institute of Educational Management, IMEDE, and INSEAD. Other directorships on his impressive record include Kulim (M) Berhad, KPJ Healthcare Berhad, Sindora Berhad, LBI Capital Berhad, Tomypak Holdings Berhad, Top Glove Corporation Berhad and Malayan Flour Mills Berhad. He also sits as Chairman on several private limited companies, namely PFM Capital Holdings Sdn Bhd, CSR Building Materials (M) Sdn Bhd, Land Rover (M) Sdn Bhd, Pelaburan Johore Berhad, Bistari Johor Berhad, Amanah Raya JMF Asset Management Sdn Bhd, Amanah Raya Investment Bank Ltd, Nakagawa Rubber Industries Sdn Bhd, Bata (M) Sdn Bhd, Sato Amoy Sdn Bhd, Zalaraz Sdn Bhd, and Johmewah Maju Paper Mills Sdn Bhd. Tan Sri Arshad has received numerous accolades and award for his outstanding contributions and his continuous passion and involvement in education makes him a titan in the eyes of many. 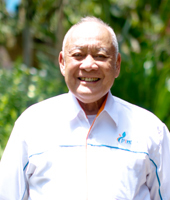 In 2013, he received the Merdeka Award in the Education and Community category for his outstanding contribution in education, one of the many he has received throughout the years. Tan Sri Arshad was recently bestowed with Sunway University’s inaugural doctorate – the Doctor of Education, at the Convocation of Sunway University on 9 October 2015. Tan Sri Dato' Seri Dr Wan Mohd. Zahid Mohd. Noordin, born in April 1940, began his career as a teacher, and moved up the ladder quickly to principal level within just a few years. Subsequently, he held various positions in the Education Ministry, his last post prior to retirement in December 1997 being the Director-General of Education of Malaysia. 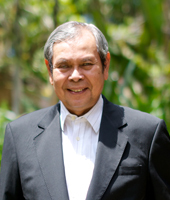 Tan Sri Mohd Zahid obtained his Bachelor's degree in Sociology and Anthropology from the University of Malaya, and his Master’s degree in Development Education from Stanford University, California, plus a Doctorate in Sociology of Education from the University of California, Berkeley, California. He is currently the Chairman of the Sime Darby Health Care Supervisory Committee, and is also a member of the Board of Directors of Sime Darby Berhad. His other directorships include Sime Darby Berhad, Paradigm Systems Berhad, UniversitiTeknologi MARA (UiTM), Federal Power SdnBerhad, Furukawa SdnBerhad, Kolej Universiti Teknologi, Pengurusan Malaysia, Permodalan Nasional Berhad, Amanah Saham Nasional Berhad, Yayasan Felcra Berhad, Perbadanan Usahawan Nasional Berhad and Universiti Teknologi Tun Abdul Razak. 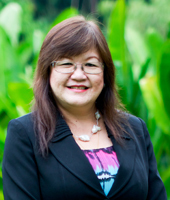 Datuk Dr. Mary Yap Kain Ching, born in March 1951, was the former Deputy Minister of Higher Education and Deputy Minister of Education. Her working experience in the field of education includes being an English teacher, English lecturer, Chief School Inspector for the Schools Inspectorate, School Principal and Director of Teacher Education Institutes. Her areas of expertise include education issues focusing on school leadership and school management excellence, as well as quality teacher training. She started her teaching career as an English lecturer at the Sandakan Teachers' Training College, Sabah, in 1975, and later taught English in several schools in Tawau until 1989. Her outstanding contributions in the field of education have been recognised by the conferment of various awards that include the Excellent Woman Award by the Tawau Parliament Constituency in 2003, the Outstanding Woman Award by the Sabah Women Advisory Council in 2004, and the Professional Excellence Award in recognition of her service to the community of Tawau from the Tawau Rotary Club on 28 June 2007, amongst others. In 2012, Datuk Dr. Mary received the “Anugerah Tokoh Guru Kebangsaan”, a recognition from the government for her outstanding commitment and contribution towards the teaching profession and education. Upon her retirement in 2007, Datuk Dr Mary was appointed the Senior Consultant at Aminuddin Baki Leadership Training Institute and she had been the advisor to the Minister of Education on the Cluster Schools of Excellence Movement from 2007 to 2009. Her educational innovations on management and leadership models won her the 2nd Ly Chanh Duc Award from South East Asia Ministers of Education Organization (SEAMEO-INNOTECH, Manila). In view of that, she was appointed an on-line tutor for the Excels Excellence in School Leadership Program for principals in South East Asia. Known for her ‘result-oriented’ approach, she had developed the Super Leadership Training Program to groom young aspiring teachers and principals to be excellent school leaders. In 2009, Datuk Dr. Mary was appointed a member of the Women’s Advisory Council for Sabah (MPWS) where she helmed the Education Committee. Later in the same year, she was invited by the Prime Minister of Malaysia to sit in the Board of Trustees for PINTAR Foundation which focuses on building capacity for schools through a school adoption approach led by government-linked companies (GLCs). Dato' Sri Bernard Chandran, born in February 1968, is Malaysia's leading fashion designer, or fashion creator as he would like to call himself. Born and raised in Kuala Lumpur, Malaysia, Dato' Sri Bernard graduated with a Bachelor’s Degree in Fine Arts from the Paris American Academy and at L'Union Des Chambres Syndicales Parisiennes, Paris. Immediately his outstanding talent was recognized and Dato' Sri Bernard achieved the exceptional accolade of being the first non-European designer to win both the coveted Silk Cut Young Designers Award and the Open European Contest for Look of the Year 2000 in 1991. After graduating in 1993, Dato' Sri Bernard returned to Malaysia where he launched his eponymous line that cemented his international reputation for creative design and won him numerous awards including Monsieur Style Awards (1997) and the prestigious Maurice Lacroix Recognition Award in Paris (2000). In 2003, Tatler (Malaysia) named Dato’ Sri Bernard 'Designer of the Year' at the Malaysian International Fashion Awards (MIFA) and Master of His Craft. In January 2004, Dato' Sri Bernard opened his first store in Europe, located in London's Knightsbridge and the following year launched the highly acclaimed Autumn/Winter 2006 Ready-to-Wear collection at London Fashion Week (LFW). Four further seasons at LFW continued to demonstrate Dato' Sri Bernard's versatility to the international market and Dato’ Bernard's line is now firmly established and his label Bernard Chandran is marketed throughout Europe, in Dubai and the Far East. International success lead to further awards: in 2007 Dato' Sri Bernard was awarded the Brand Laureate (Best Brands in Fashion-Haute Couture) and the Martell Elite of The Year (2007) awards and was the head judge for Project Runway (Malaysia) in 2007. Tatler magazine (Malaysia) recently selected Dato’ Sri Bernard as one of Asia's most internationally recognized names. Dato' Sri Bernard's latest projects include the multi-label Area27 that redefines and showcases cutting-edge high street fashions for the youth market. Area27 is more than a store: His aim is to inspire a new generation of young Malaysian to appreciate, participate, innovate, and contribute to the knowledge and understanding of historic and contemporary Malaysian art, design and popular culture and to nurture a future generation of Malaysian designers. On 26 October 2016, in conjunction with the birthday celebrations of Sultan Ahmad Shah of Pahang, Dato' Sri Bernard received the the Darjah Sri Sultan Ahmad Shah Pahang (SSAP) which carries the title Dato' Sri. Sabri Abdul Rahman, born in July 1959, started Television Airtime Services Sdn Bhd in 1992 and is one of its two major shareholders. He has been actively involved in the development of private television in Malaysia since the inception of TV3 in 1983, the rescue of Metropolitan TV during the financial crisis of 1996/97, and the consolidation of the TV3 group into Media Prima in 2000. Sabri holds a Diploma in Business Studies ITM, 1981 and Bachelor in Business Administration, Ohio University/ITM 1983. Before venturing into business independently in 1992, Sabri worked for several companies and industries including banking and finance, automobile, broadcasting services, and outdoor advertising. Currently, via Television Airtime Services, Sabri oversees the implementation of mobile solutions for e-Government through a subsidiary company, DAPAT Vista Sdn Bhd. 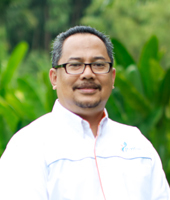 Sabri is known in the broadcasting and communications industries for his work with some of the most prominent broadcasting and communications experts and specialists in Malaysia, as well as in the ASEAN region. Other directorships in his notable career include Metropolitan TV SdnBhd/8TV and Synchrosound Studio Sdn Bhd/HOT FM (subsidiaries of Media Prima Berhad). He is also Chairman for the Malaysian Coalition for the Prevention of Child Sexual Abuse (MCPCSA), as well as the Child Helpline Malaysia. Additionally, Sabri is a Member of Majlis Penasihat dan Perundingan Kanak-kanak Kebangsaan. 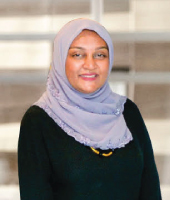 Shahira Ahmed Bazari is the Managing Director of Yayasan Hasanah, the Corporate Responsibility foundation of Khazanah Nasional Berhad (Khazanah). As the Managing Director of Yayasan Hasanah, Shahira works together with a network of civil society partner organisations to create long-term impact and changes within Malaysia’s social and community landscape. Hasanah focuses on five key areas of Education, Community Development, Environment, Arts, Heritage & Culture and Knowledge. Within her current capacity, Shahira also serves as a Trustee on the Boards of several social-based organisations including PINTAR Foundation (Education); Think City Sdn Bhd (Urban Regeneration); and Yayasan Sejahtera (Poverty Alleviation). Shahira’s role to Hasanah evolved out of her nine-year tenure at Khazanah as a Director in the Managing Director’s Office between 2006 and 2015. She was instrumental in the setting up of Hasanah between 2013 and 2015. Prior to Khazanah, Shahira led a regional role in Public Affairs for Procter & Gamble Malaysia; and also worked in a private think-tank at the start of her career. 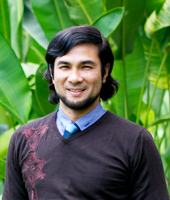 Shahira holds a Bachelor of Arts from the International Islamic University Malaysia, and M.A. 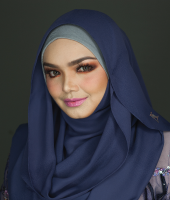 in Public Communication from American University, Washington D.C.
Dato' Sri Siti Nurhaliza Tarudin, born 11 January 1979, is a Malaysian singer and businesswoman. Since her debut, she has won a number of international singing competitions. She was crowned as Voice of Asia in 2002 after winning the Grand Prix Champion title at the Voice of Asia singing competition which was held in Almaty, Kazakhstan. A few years earlier, in 1999 she won the Gold Award in Asia New Singer Competition at Shanghai Asia Music Festival, held in Shanghai, People's Republic of China. Also, in the same year, she won two awards from 'South Pacific International Song and Singing Competition 1999' held in Gold Coast, Queensland, Australia. To date, she has garnered more than 200 local awards as well as international awards. She rose to fame as a multiple-platinum selling artist, since her winning of Malaysia's reality show Bintang HMI 1995 when she was only 16 where she was given offers in form of singing contracts from four different international recording companies. Her first single from her debut album, "Jerat Percintaan", won the 11th Anugerah Juara Lagu and another two awards for Best Performance and Best Ballad. The album itself as of 2005, has been sold to a total of more than 800,000 units in Malaysia alone. She has won an unprecedented number of music awards in Malaysia and its environs: 42 Anugerah Industri Muzik awards, 25 Anugerah Bintang Popular awards, 27 Anugerah Planet Muzik awards, 19 Anugerah Juara Lagu awards, four MTV Asia Awards, three World Music Awards, two Anugerah Musik Indonesia (Indonesian Music Awards) and the holder of two records in the Malaysia Book of Records. Backed with 16 studio albums, she is one of the most popular artists in the Malay Archipelago and Nusantara region and she has been voted for Regional Most Popular Artiste ten times in a row beating other fellow artists from Malaysia, Indonesia and Singapore in the Anugerah Planet Muzik since 2001. Currently, she has been listed as one of Malaysia's richest, most-influential, most award-winning, most single-produced artists. She's also one of Malaysia's bestselling artists, for in 2000, her album sales alone contributed to 10 percent of Malaysia's total album sales. To date, she has sold more than 4.9 million in record sales. In 1998, she was chosen amongst few Malaysian artists to perform during the closing ceremony of 1998 Commonwealth Games in front of Queen Elizabeth II and her consort, Prince Philip among other dignitaries and officials from 70 countries including those from the Commonwealth of Nations. In 2005, she became the first Southeast Asian singer, and third Asian singer to perform a solo concert at the Royal Albert Hall while being backed by the London Symphony Orchestra. In 2005 also, she was listed second by MTV Asia in Asia's Best Musical Artiste and Channel V's Biggest Asian Artiste. In 2008, she was named as one of Asia's Idol by Asia News Network. Her success in the Asian region has gained her honorific titles including "Voice of Asia" and "Asia's Celine Dion". On 24 October 2017, in conjunction with the birthday celebrations of Sultan Ahmad Shah of Pahang, Dato' Sri Bernard received the the Darjah Sri Sultan Ahmad Shah Pahang (SSAP) which carries the title Dato' Sri.